Ryan Thorburn of the Register-Guard in Eugene, Ore., placed first in the Associated Press Sports Editors 2017 contest in beat writing in the 30,000-75,000 circulation category. Thorburn covers the Oregon Ducks for the Register-Guard. He will be presented a first-place plaque at the 2018 APSE banquet. The banquet and awards dinner concludes the APSE Summer Conference June 17-20 at the Marriott Hotel Nashville/Vanderbilt University. The second- through 10th-place winners will receive frameable certificates. Contest chair John Bednarowski and fellow APSE officers Jeff Rosen, Todd Adams and Robert Gagliardi numbered each entry. Preliminary judges selected a top 10, and from there another group of judges ranked the finalists in order from 1 to 10 separately on a secret ballot. Entries were given 10 points for a first-place vote, nine for second, etc. The winner and final rankings are determined by tallying the ballots. 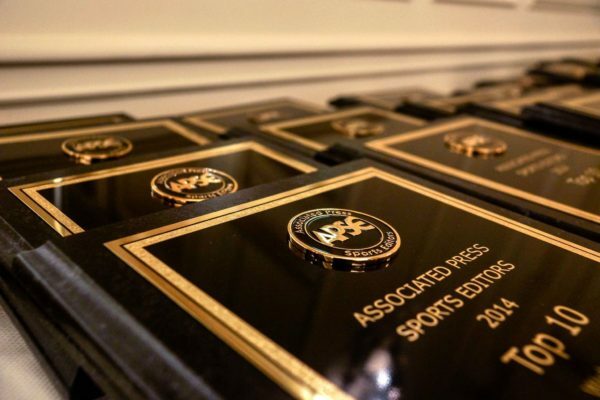 APSE contest beat writing entries consist of five pieces: at least one breaking news story; one event or game coverage story; one enterprise piece and two wild-card stories from any of the aforementioned categories (or other stories or analysis related to the beat). Judges in this category are looking for excellence on the beat, with metrics showing authority and audience engagement. The top 10 are listed below with links to writers’ Twitter pages, APSE member websites and the winning entries. Josey Jewell is living his grandfather’s Hawkeye dream. He’ll have to defy him when he goes to the NFL. Two newly hired Nampa High coaches are out. Did the school do its homework? Fans asked Idaho to reform its high school football playoffs for years. Is it time? Analysis: How will Brian Kelly co-exist with new Notre Dame OC? ‘The Wildcats are with you.’ A coach, a QB and a special visit to a boy’s hospital room.